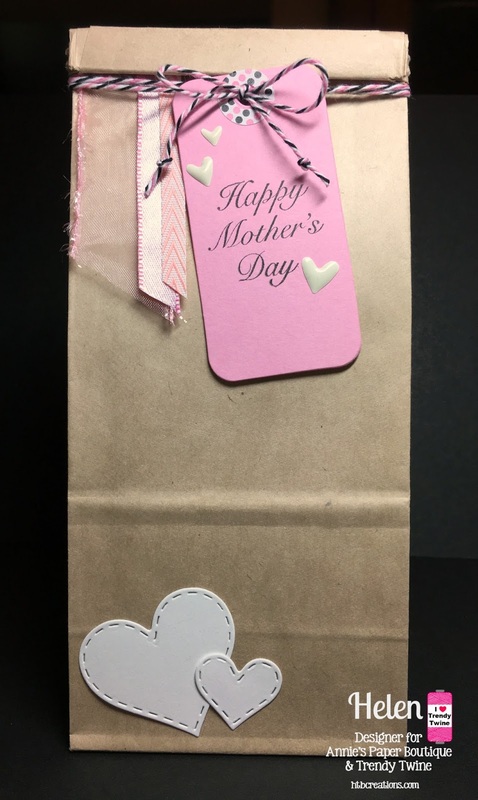 HTB Creations: Trendy Twine -- Happy Mother's Day! Hello everyone and Happy Mother's Day! The Trendy Gals made some projects to share with you today. We used the new Tin Tie Bags and Pink Ribbon set. 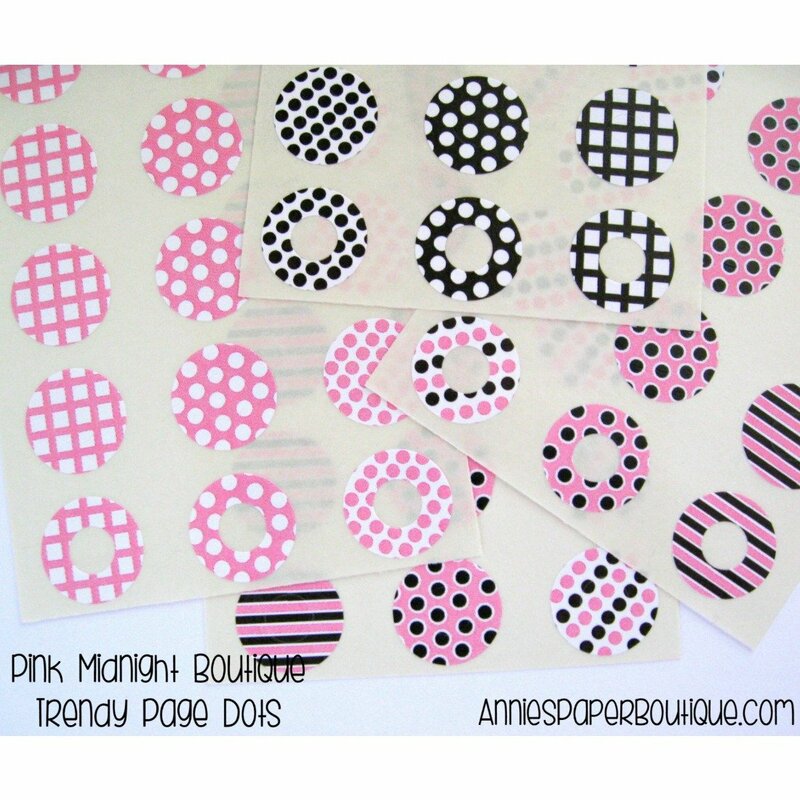 I also used Pink Midnight Trendy Twine, a Pink Tag-It and Pink Midnight Trendy Page Dots. 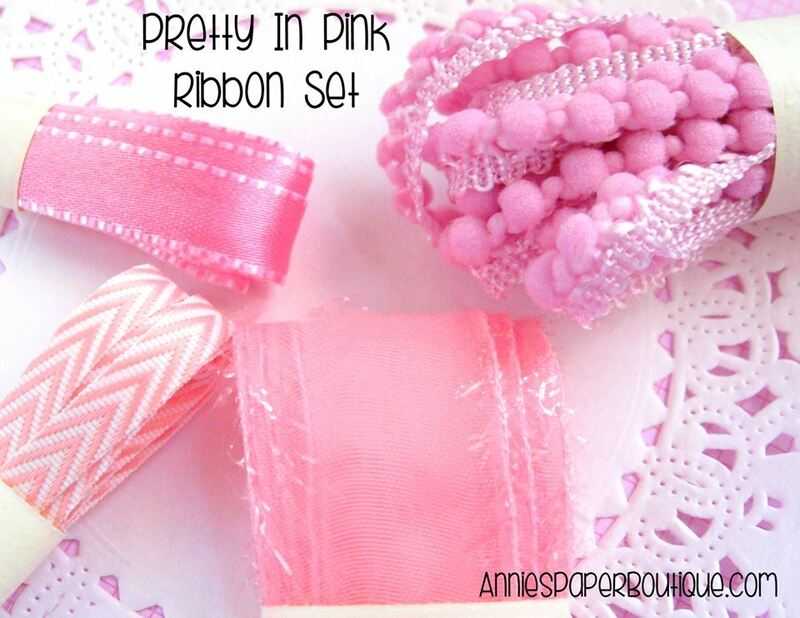 The pink ribbon set has four different pink ribbons in it. I used three of them on the bag itself. 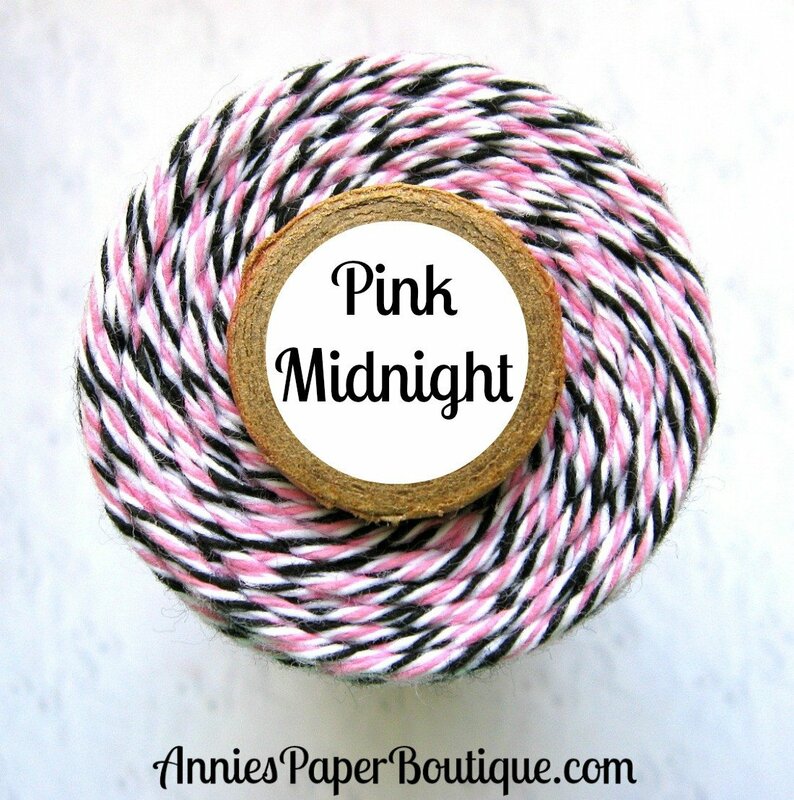 Next, I wrapped the Pink Midnight Trendy Twine around the bag along with my stamped Tag It. 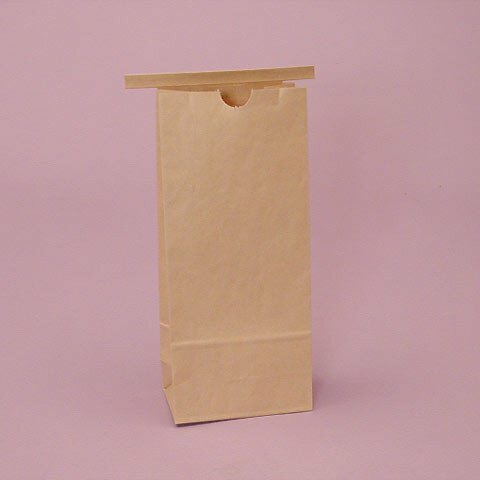 What a lovely treat bag! Those new ribbons are so pretty. Happy Mother's Day! Very pretty bag! Your tag and ribbon accents look fabulous! Happy Mother's Day! Very pretty! Happy Mother's Day! 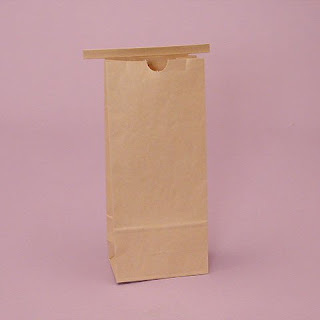 Helen, your bag came out just gorgeous! Thanks for sharing! Helen, this is so pretty. 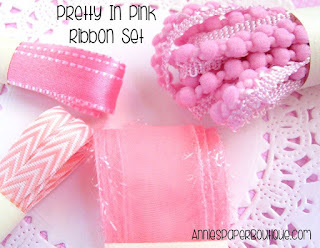 Love how you used the new pink ribbons. Love the hearts on the tag and on the bag. It all looks so great together. 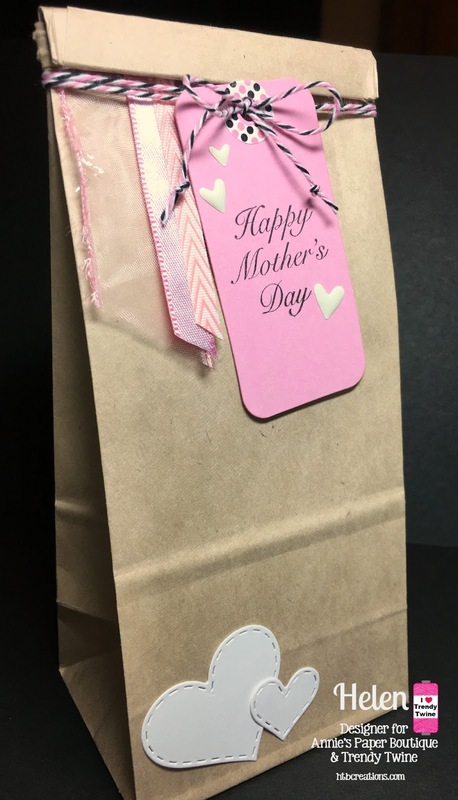 Hope you had a great Mom's Day! Helen, I love your bag! It is super cute and so clean and sharp! 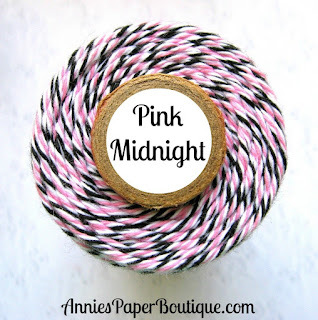 Trendy Twine -- Have a Wonderful Day!